Anthony in NZ had the most liked content! 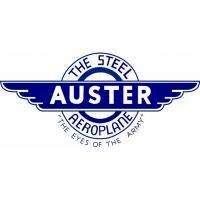 Rebuilding a 1/1 scale Auster T7 WE552 (when time permits! ),NZ Aviation in general. Trying to model in between taking care of my family responsibilities. Want to get into scratchbuilding more. That's looking super awesome! Just love this kit, its practically perfect! How did you get such neatly painted plumbing lines in the wheel wells? Roy has all the masters now, along with the extra antenna's Kerry CAD'd up for us. The decals are now done for the panel as well. Just a waiting game for me now too. Hi Mark It's not a complaint there is too much detail in the kit, it's just when you look at how stunning it all is, you cant help but feel it's a shame it cant be seen. Much like many other kits we have in our stashes. I am sure the WNW Lanc will be the same as are many more going to be in the future. I would rather they supply it, which gives you options. Look what Kent did with his HpH Cat....superb cutaway Stick with building the Dak mate..... although I wont complain if I see the Catalina on the bench either!